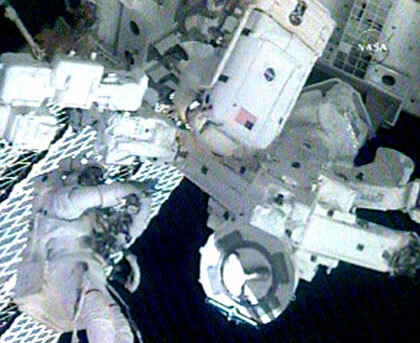 Alvin Drew is the 200th human to perform a spacewalk, his first. This is Steve Bowen’s sixth spacewalk. 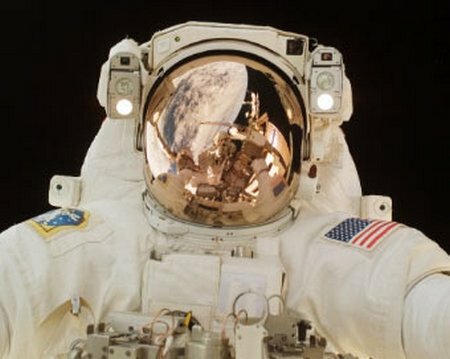 The first STS-133 spacewalk began at 10:46 a.m. EST. Bowen, EV-1, is the lead spacewalker and is wearing a suit with red stripes, while Drew, EV-2, wears an all-white spacesuit. Bowen’s helmet camera displays the number 19 and Drew’s the number 20. Bowen and Drew will install the J612 power extension cable in preparation for Tuesday’s attachment of the Permanent Multipurpose Module to the Unity node. Next, they will move an 800 pound failed pump module to External Stowage Platform 2 on the outside of the Quest airlock, where it will remain until it can be returned to Earth at a future time. They will install a camera wedge on the right hand truss segment to give the camera added clearance now that Express Logistics Carrier-4 is attached to the station. After that, they will move further down the right hand truss to the solar alpha rotary joint where they will affix two extensions to the station’s mobile transporter track, which will allow the transporter to travel the entire track length with the Crew Equipment Translation Aid cart and still reach all of the many worksites. They also will open and fill a metal cylinder with the vacuum of space, part of a Japan Aerospace Exploration Agency activity called “Message in a Bottle.” The bottle will be returned to Earth for public display. Discovery Mission Specialist Nicole Stott is inside the International Space Station, choreographing the activities and coordinating communications between the spacewalkers and Mission Control in Houston. Station Commander Scott Kelly and Discovery Mission Specialist Mike Barratt will operate the station’s 58-foot long robotic arm to maneuver the pump module and other hardware during the spacewalk. This is the 154th spacewalk supporting assembly and maintenance of the space station and the 234th excursion conducted by U.S. astronauts. MELBOURNE, Fla. and ROCHESTER, N.Y., Feb. 28, 2011 — Harris Corporation (NYSE: HRS), an international communications and information technology company, has received $14 million in orders from the Federative Republic of Brazil to provide Falcon III® and Falcon II® tactical radios to the country’s armed forces. Brazil will deploy the radios in a range of humanitarian, security and disaster relief missions, such as support for the nation of Haiti in its recovery from the devastating 2010 earthquake. Mission Control in Houston woke the space shuttle Discovery and the International Space Station crews at 6:23 a.m. EST to the song “Oh What a Beautiful Morning” by Davy Knowles & Back Door Slam, played for Mission Specialist Nicole Stott. Spacewalk preparations begin at 7:03 a.m. Steve Bowen and Alvin Drew, who spent the night “camping out” in the Quest airlock, are scheduled to begin their excursion at 11:18 a.m. During the 6 hour, 30 minute spacewalk, the pair will install the J612 power extension cable, move a failed ammonia pump module to the External Stowage Platform 2 on the Quest Airlock for return to Earth at a later date, install a camera wedge on the right hand truss segment, install extensions to the mobile transporter rail and expose the Japanese “Message in a Bottle” experiment to space. Hotel cruise vessel, Shipdesign by Colin Silvester, Hanpshire, UK. Equipment: Raymarine C70 e-chart connected to Raymarine RD 218 2 kW 18” Raydon radar antenna, Echopilot Compact echo sounder, Navico Axis RT 1200 VHF + Navman 7100 VH, Zenith Riviera magnetic compass, Wagner 150 rudder indicator. Deck equipment: Manuel anchor winch, 95 kilo anchor with 13 mm ø chain. Safety equipment: Marshford buoyant apparatus for 12 personer, Menvier MF9316 fire alarm unit, smoke and heat detectors in all areas, smoke, heat and fire detectors + CO2 extinguisher in engine room, A-60 fire isolation in engine room and underneath wheelhouse. Engine and fuel emergency shutter can be operated from deck. 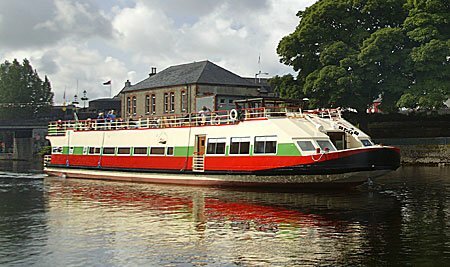 Classification: Irish class P2 passenger vessel certificate for 12 passengers in river/canal trade. Before the conversion into a hotel boat she had trade certificate for 150 passengers. Calculations are made for intact stabillity (200 passengers on upper deck) and damage stabillity. Latest dry dock in 2010 and a hull ultra-sound survey was completed on parts of the ship in april 2008 with no mesurable derusting. General arrangement: Main deck fore contains lounge with table seating for ten guests, comfortable sofas and chairs. Next to the lounge is the well equipped galley equipped with Electrolux gas stove/oven, Electrolux dishwasher, 1 x Bosch combo refrigerator/freezer, 1 x 300 litres refrigerator and microwave, 2 exits. 5 x double cabins with with toilet and shower facilities. Each cabin measures about 22 square metres. 1 x double crew cabin with toilet and shower facilities, also laundry room with Tricity Bendix Wash & Dry 1000 washer and a Zanussi ZDC 46130W dryer astern. Aft on main deck is the steering gear room with a aux. engine for shore power. Sun deck contains wheelhouse where the top easily can be lifted off during small passages. Also 2 x crew cabin modules with hydraulic adjustable tops and can fairly easily be removed if necessary. Both with toilet, shower facilities and fridges. The larger one made in steel contains 1 x double bed and 1 x singe bed + small sitting area. The second aluminium module contains 1 x large bed. Large sun deck at about 10×5 metres. Chemring Group PLC (“Chemring” or “the Group”) today issues its Interim Management Statement covering the period from 1 November 2010 to date, as required by Rule 4.3 of the Disclosure and Transparency Rules of the UK Listing Authority. Trading during the first three month period to the end of January 2011 was 38% higher than for the same period in 2010, when calculated on a constant currency basis. 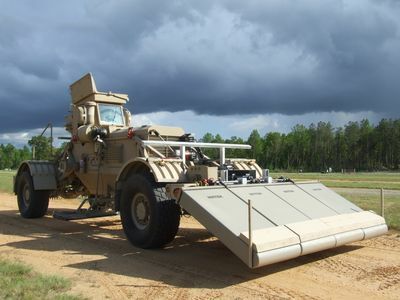 This was driven by continued strong growth in our Counter-IED and Munitions businesses that was partially offset by a reduction in revenues from our Pyrotechnics activities. The Group’s order book has increased to a new record of £944 million, 64% higher than at this time last year. This strong order book and the continued growth in three of our four core business segments provide a solid foundation for 2011, and the Board remains confident that the outlook remains in line with its expectations. 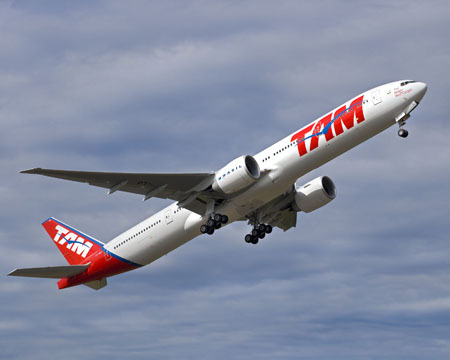 SEATTLE, Feb. 28, 2011 /PRNewswire/ — Boeing (NYSE: BA) and TAM Linhas Aereas (NYSE: TAM) today announced the Brazilian carrier ordered two additional 777-300ERs (extended range) with two purchase rights. Today’s order, valued at approximately $568 million at current list prices, brings the total number of 777s TAM has on order to 12. 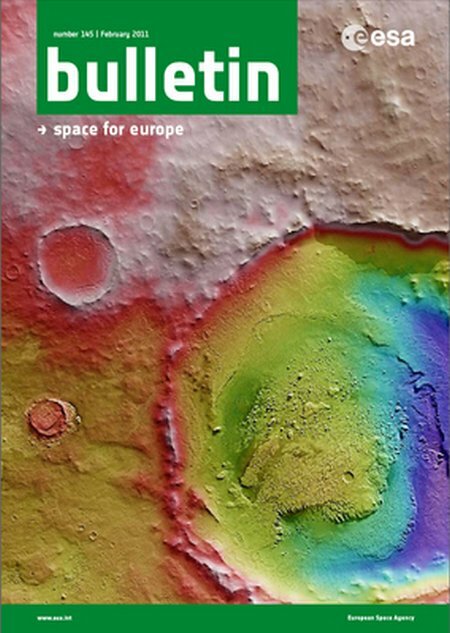 In this issue of ESA’s flagship magazine, we feature the latest ‘flagship’ of ESA’s space fleet, ATV Johannes Kepler. Read the Bulletin and other publications online, with our visualiser tool. Woburn, MA – February 28, 2011 –[ASDWire]– Understanding whether a tribal leader and his followers are friends today or potential foes tomorrow is one of many crucial challenges in counterinsurgency and counter-terrorism operations in Iraq, Afghanistan and future hotspots. 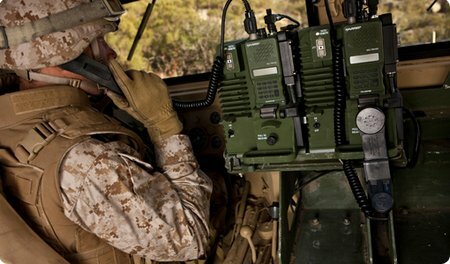 U.S. forces depend on human intelligence to stay abreast of the changing landscape, yet current methods of collecting and analyzing such intel typically lag, preventing troops from knowing the conditions they face. Marlink, the global provider of maritime satellite communications has recently confirmed delivery and installation of its innovative Sealink(TM) VSAT solution on the Atlantic Oilfield Services oil & gas support unit ‘KS TITAN 2’. 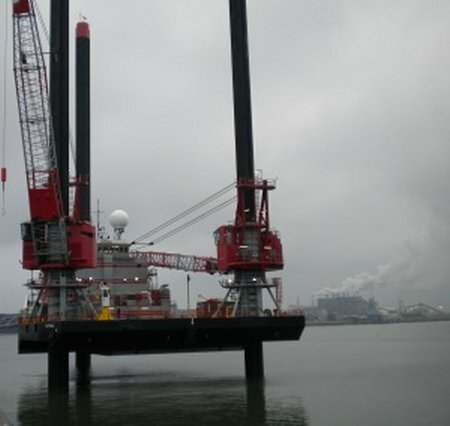 Chartered by Exxon Mobil, KS TITAN 2 is the second Atlantic Oilfield Services rig to be installed with Marlink’s Sealink(TM) system. SEATTLE, Feb. 28, 2011 /PRNewswire/ — Boeing (NYSE: BA) has delivered the 300th Next Generation 737-800 to Europe’s largest low-fare carrier, Ryanair. The airline will take delivery of a total of 37 of these aircraft during 2011 and is the world’s largest operator of the 737-800. 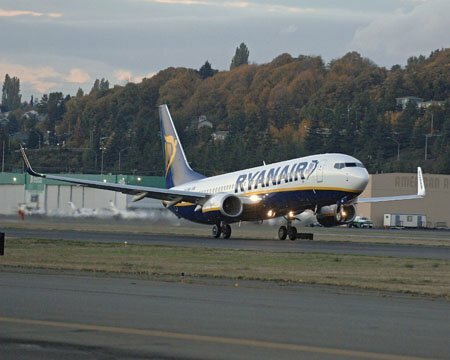 Ryanair took delivery of its first 737-800, which seats 189 passengers, from Boeing in 1999.